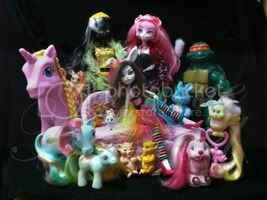 My Little Pony Arena » Forums » Special Interest Groups » The Dollhouse » Did someone Win CatwalkKitties Sushi from Ebay? Forums » Special Interest Groups » The Dollhouse » Did someone Win CatwalkKitties Sushi from Ebay? Did someone Win CatwalkKitties Sushi from Ebay? Posted: 0 Post subject: Did someone Win CatwalkKitties Sushi from Ebay? Was bidding on it was gonna win had 20 seconds left and lost her. IF it was you Congratz! Pls lmk out of curiosity.